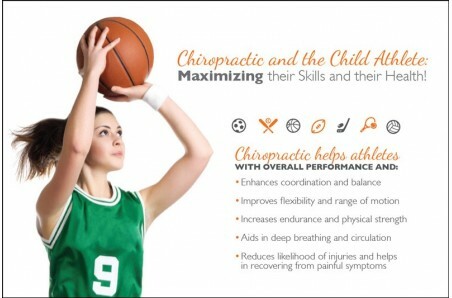 This chiropractic postcard features a basketball player with a list of benefits the child athlete can expect to receive from regular chiropractic. 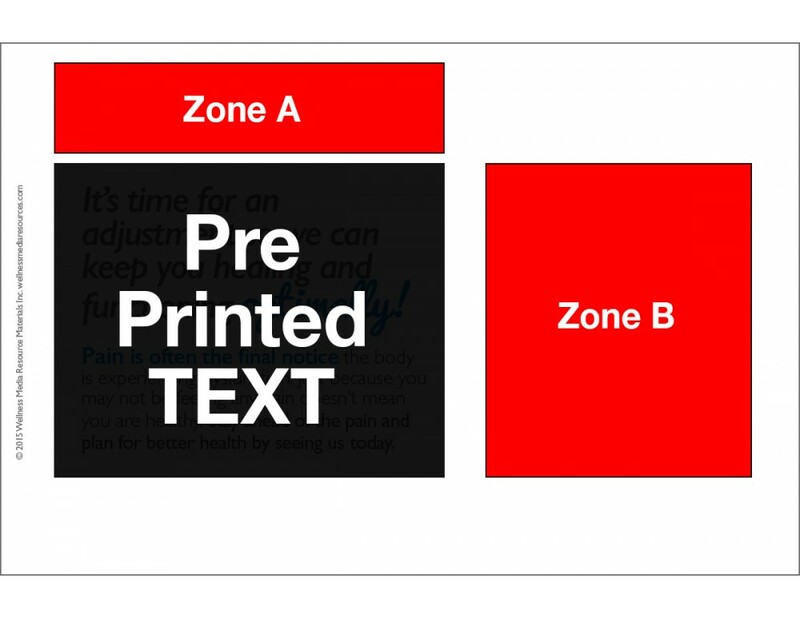 If ordering personalized postcards, complete and save the product personalization tab below before adding postcards to cart. 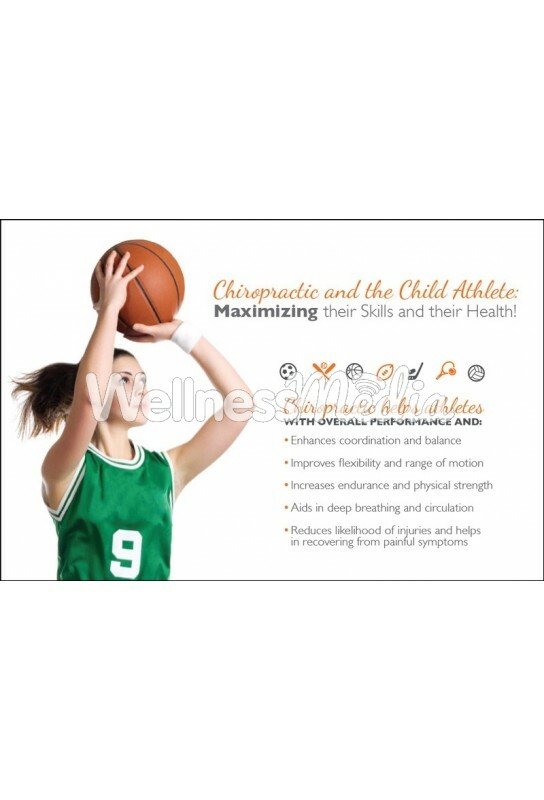 Text on Reverse: Chiropractic is an essential part of balancing a growing body, especially children that participate in athletics and skill specific sports! 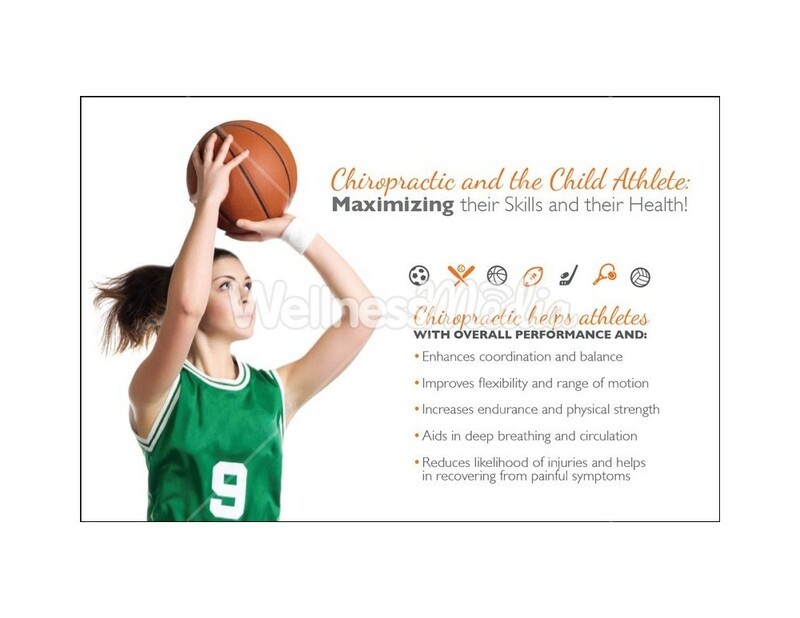 The sooner the child athlete is assessed by a chiropractic following an injury, the less likely they are to have lifelong patterns of ill health. 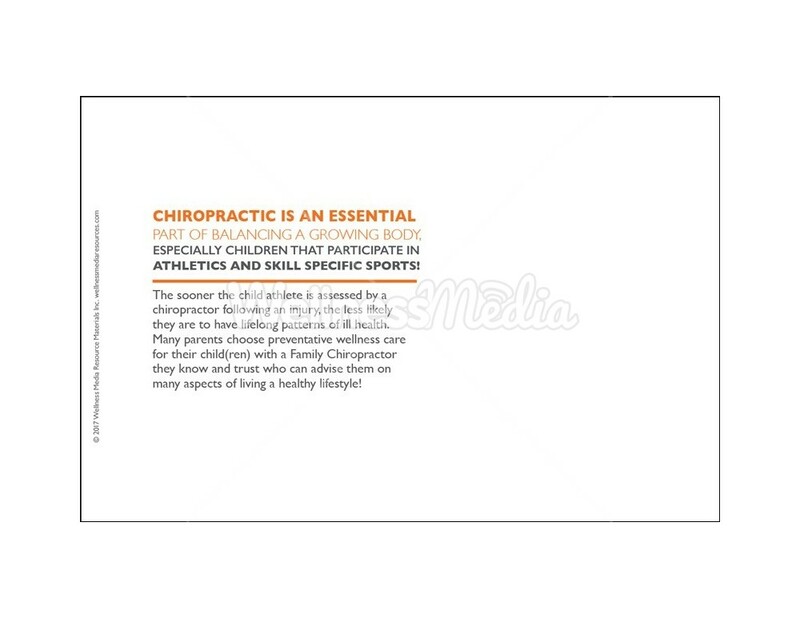 Many parents choose preventative wellness care for their child(ren) with a Family Chiropractor they know and trust who can advise them on many aspects of living a healthy lifestyle.